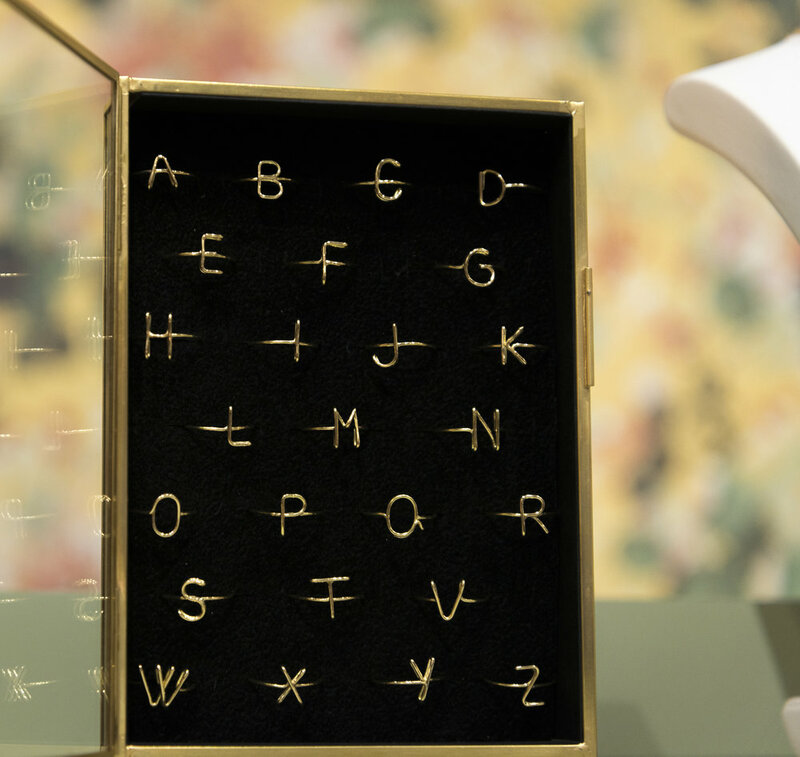 Parisian “Wire writing” jewelry companyAtelier Paulin opened a New York location on November 26, offering both ready-made and bespoke jewelry created while the customer waits. Located at 23 8th Avenue, it is the brand’s first store in the United States, capturing both trends for experiential retail and personalized accessories. Atelier Paulin is currently available at 20 locations including Neiman Marcus, Moda Operandi, Bergdorf Goodman and Aaerin, plus 140 global points of sale such as Le Bon Marche Paris, Selfridges in London, Kadewe in Hamburg, La Rinascente in Milan, Globus in Geneva, DFS in Macao and Another Story in Bangkok. The store features Atelier Paulin’s trained craftspeople, each who puts their name inside the gift box to add a personal touch. The company has brought back a craftsman program for jewelry and has trained 22 craftsmen in France plus 10 outside the country. The company also sells initial rings that can be worn across the hand to spell out words, Top-selling designs besides names include love, as well as the French “amour”. In addition to the new retail shop, Atelier Paulin has also expanded with a first-time precious jewelry collection featuring 18-karat gold plus semiprecious stones such as tourmaline.